Well accidents happen, but they can be quickly put behind you with our speedy repair service. We put extra effort into the details to get your car looking better than brand new. Sometimes your car might need a bit of help performing like you remember it did. Whether you need to replace a part or detect a mystery sound we have been repairing cars for over 30 years and have earned our reputation for reliable and trustworthy service. 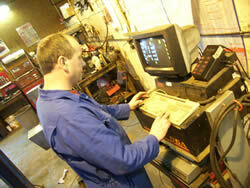 A MOT testing station since 1988, our checks are quick, thorough and completely reliable. 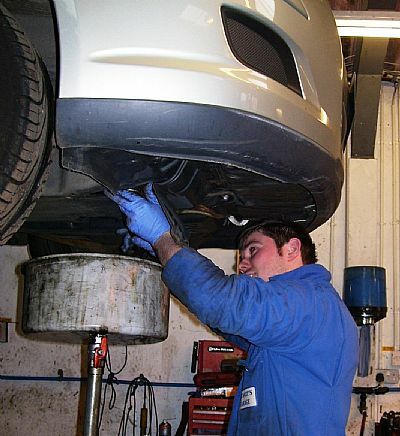 MOT checks can be made for cars and LCV's up to 3000kgs. We'll talk you through the results of the test, discuss how your car is ageing and how to get the best performance from your vehicle throughout its life. A regular service history doesn't just add value to your vehicle, but prolongs its life, and increases your enjoyment of driving by giving you the peace of mind of an extensive and reliable Stewart's service. Our garage can service most vehicle models and we are always available to talk about steps you can take to prolong the life of your vehicle and improve its performance. For fleet users we are linked to the 1Link service network. 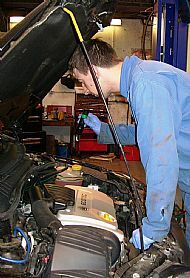 Your car does not have to be serviced by a dealer to remain covered by the manufacturers warranty. We have invested in the most up to date computer software and diagnostics to enable us to work on even the newest models.